On Monday July 14th the Costa Concordia was brought afloat. In one week it is expected to arrive in Genoa where the cruise ship will be demolished. It was 11am when the Costa Concordia, the cruise ship that wrecked in January of 2012 in the Giglio Island in Italy, floated again. It didn’t move much, only 30 meters, yet its final trip toward Genoa, where it will be demolished, has started. The wreck has been lifted for 2 meters and moved, as already mentioned, 30 meters east. 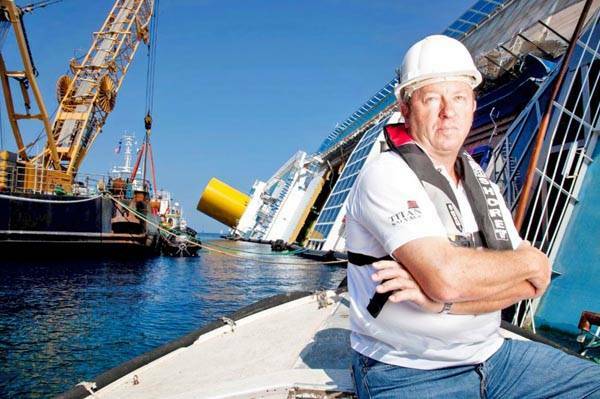 Nick Sloan, responsible for the rotation of the Costa Concordia, lead the removal operation a little after 6am, together with his team of expert technicians and engineers. After having controlled all the systems on board, they started to lift the cruiseship. During this first phase of the operation, and during its move, all the connections between the Giglio Island and the Argentario were interrupted. “Everything went according to plan,” said Franco Porcellacchia, responsible for the removal project. “The ship is floating on its own and its stable,” he affirmed. No issues so far. 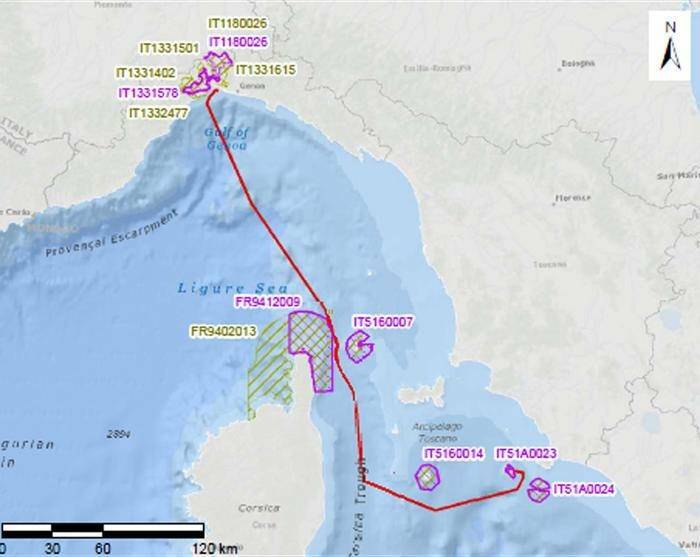 However, according to Franco Gabrielli, Commissioner for the emergencies, they have to keep alert and act with extreme caution until the ship arrives at the harbor of Genoa. Its transfer, if everything goes well, is estimated to be completed by next Monday, July 21st. 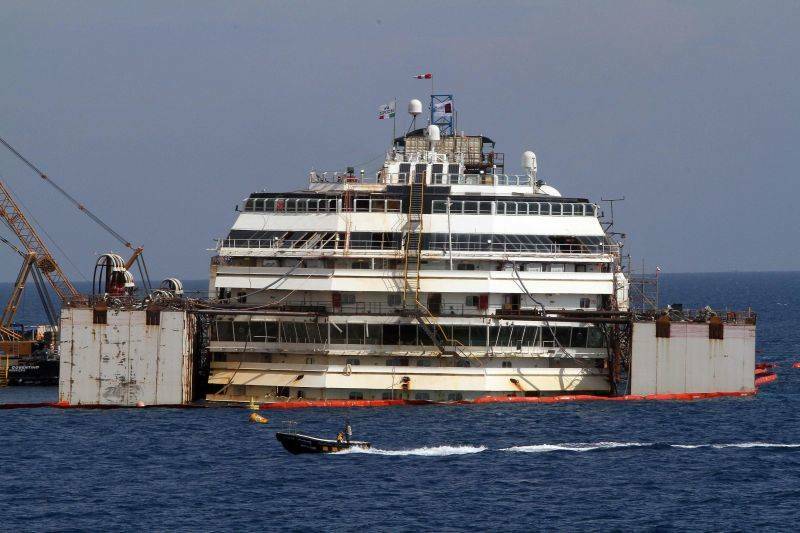 The removal project of the Costa Concordia wreck cost almost 1,5 billion euros. “The project contributed to the GNP (gross national product) with 1 billion dollars and will go up until 1 billion euros,” explained Michael Thamm, Chief Executive of Costa. He also explained that such amount does not include the transportation to Genoa, the disposal and the restoration of the environment. 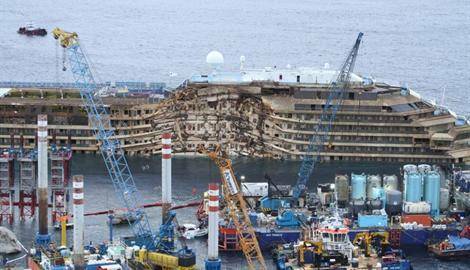 No applauses were heard during the delicate operation that brought the Costa Concordia to float again. The removal of this giant of the seas will never eliminate the tragedy that occurred two years ago in which more than 30 people lost their lives.